A debut political thriller about two DC fixers hired to vet a Supreme Court nominee, and the series of killings that overlaps with their investigation. Rosenstiel's talent for balance departs from the genre's norm. He doesn't take sides—readers of all political stripes will enjoy this book. 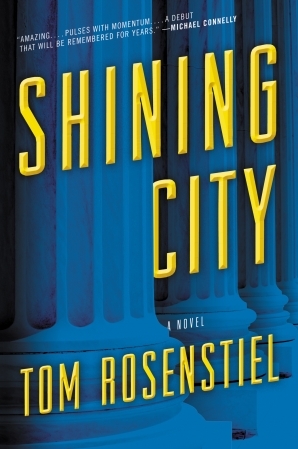 Rather, he focuses on the complex machinations of federal government ... Shining City rises as one of the smartest thrillers in recent memory ... Each chapter balances cutthroat action with fascinating insider observations, and line-to-line, Rosenstiel's writing is sparkling clear, even when parsing Washington's confusing matrix of ideology and special-interest groups. The dialogue is also well-written. It drives the story forward, and the characters speak like real people ... With its slam-bang pace, richly drawn characters and intricate examination of political skullduggery, Shining City is more than a thrilling adventure — it's a hard look at how and why Washington so often falls short of its shiny, hilltop ideal. His murder mystery, set against the backdrop of the vetting, nomination, and delicate political sales job for a new Supreme Court justice, is launching just as America is about to endure the real thing ... osenstiel nails the tense atmosphere of DC during a 'scotus’ battle — the desperation of warring partisans with so much at stake amid competing pressures exerted by factions within their parties. Most of all, he captures the cynical sense that the parts of the ritual the public gets to see are just shadows in Plato’s cave, with the real confirmation taking place behind ornate oak doors. Yet Shining City is not an ideological book. The reader sees the players through shifting points-of-view, so we see them as they see themselves, in their best light ... Rosenstiel writes well, sometimes even beautifully, and his sketches of scenes and characters are thoughtful and vivid. 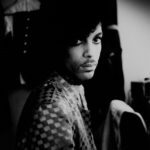 But at times it feels as if he gives too much. ...skillful and memorable ... Shining City has the excitement of a courtroom thriller. Its 24-hour attempt 'to solve murders three thousand miles and three months apart' delivers the excitement of a police procedural. And its sketches of a host of D.C. types have a nice satiric edge. Finally its hero’s ruminations on politics as the art of the possible give readers much to ponder. What did you think of Shining City?